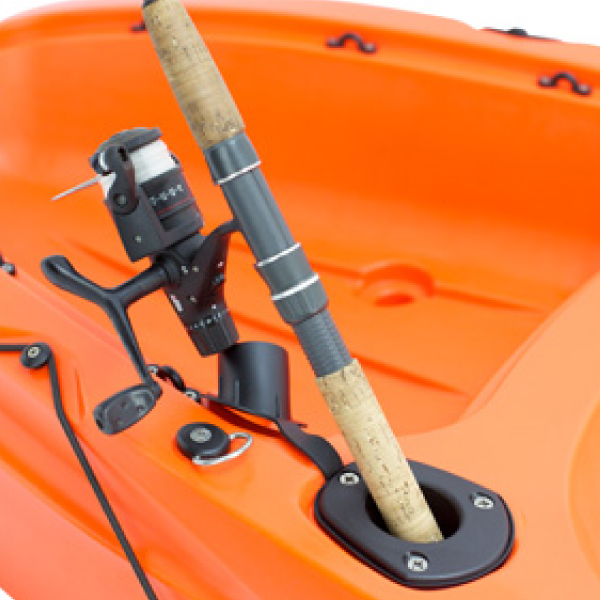 Flush mount kayak fishing rod holders, fitted to kayak. 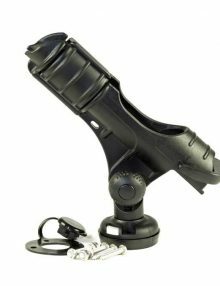 Black oval angle rod holder with black PVC cap (sealed end). Factory Fitted only – we do not recommend customer fitting these. I got these factory fitted when I ordered my Kaafu to save me the trauma of retro fitting them if I later decided I needed them. I planned to use them as the name suggests, to carry a fishing rod, but have yet to do so. They have proved invaluable however, for carrying the two halves of my Fatyak paddles when I drag my Kaafu to the beach on its trolley. No complaints and a great addition to my Kaafu. Shipping costs are calculated on an item by item basis and are dependant on your shipping location. To calculate your shipping costs, simply add the products you wish to purchase to the cart and enter your postcode. We ship to France, Germany, Spain and Portugal as well as the UK and Ireland. Goods, other than faulty goods, may be returned within 14 working days of the day after the date of receipt by you of the goods. The cost of the return delivery charge under these circumstances is to be paid directly by the customer, unless the product is faulty or damaged. Our Fatyaks are despatched direct from our factory in North Wales via Tuffnells Ltd, an email notification will be sent upon despatch. Plus, a further email is sent on the day of delivery confirming delivery driver name with a link to track your goods. If you are not there to receive your goods at the allocated time, we may have to pass on a re-delivery charge from the delivery company. To avoid this happening, please carefully check the date of delivery that we will send out, and if there are dates that you do NOT want us to deliver on, please note this when you order. For damaged, defective, incorrectly sent, incorrectly advertised items, please contact us immediately and we will advise you on where to return the item. Do not sign for (and therefore accept delivery of) any item before you have checked it. You will not be offered a refund or replacement unless you have checked the item and not signed for it. 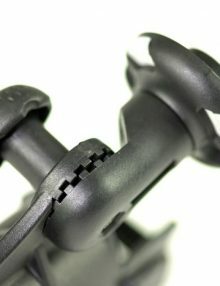 If you find that the item has been damaged, do not sign for it, do not accept delivery and contact us immediately. 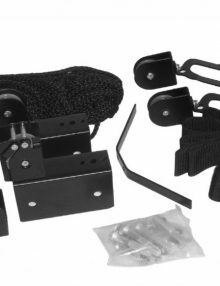 This multidirectional rod holder comes with all the fixings you need to equip your Fatyak with an easy solution for storing rods when out fishing, made from heavy duty nylon. 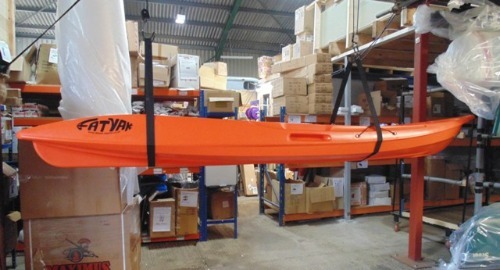 Easily store your canoe or kayak up and out of the way with this even-pulling, two-rope hoist system. One-person operation. Safety release mechanism. 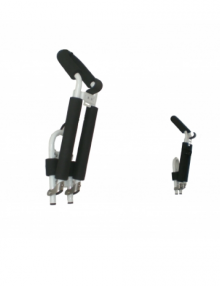 Can be used to store bicycles, ladders and many other bulky, cumbersome items. Mount directly to ceiling studs or surface mount to finished ceilings. Includes mounting hardware. 100-lb. maximum lift. Short sleeve T Shirt for every diehard Fatyak™ fan! This is a Aluminum powder coated double wall rack which can hold two boats. Supplied with all wall fixings and also comes with paddle holder and all wall fixings for brick or block walls. Folds up out of the way when not in use.